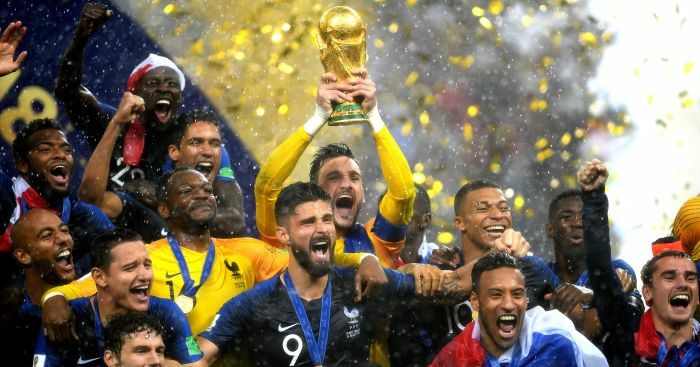 Just before the World Cup got underway in Russia, the TEAMtalk staff put together their predictions for the tournament. It’s time to see how we did. 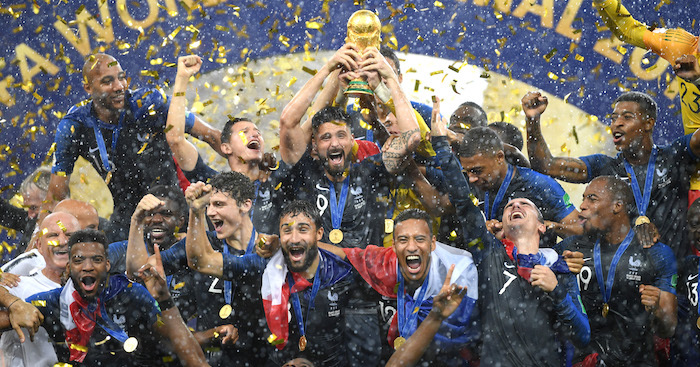 As we know, France secured their second ever World Cup triumph on Sunday, defeating Croatia 4-2 in a thrilling final. But what about the surprises of the tournament? The disappointments? The top scorer? And who predicted that the Three Lions would get on so well? Oli: About an hour before the time of making this prediction I would have said Spain, but the turmoil in the camp cannot be ignored. For that reason, I’ll do the old switcheroo to Germany. Matt: Brazil. They have a strong squad on paper and look worthy favourites. Samuel (work experiencer): My gut instinct says Brazil – they have world class players in every area of the pitch, and have a point to prove after the debacle against Germany in 2014. Marshy boldly backed Spain despite all the chaos pre-tournament, but that wasn’t half as bad a shout as Oli picking Germany, who crashed out in the groups. Brazil only made it to the quarters, meaning between the four of us we didn’t even manage to get a semi-finalist. Shocker. And what about the other contenders? 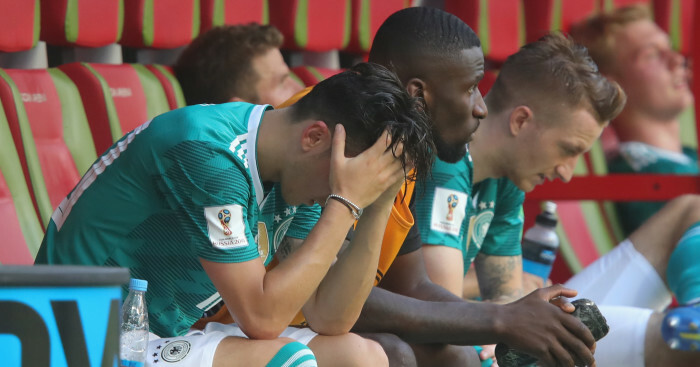 Oli: France, Belgium, Brazil and Argentina all have great squads on paper, but all have a huge weight of expectation and Germany may have an advantage based purely on how long the core of their squad has been together. Matt: France’s squad looks good on paper, while Germany have had a poor run of results in the build up, but they will both be hard to beat. Samuel: Spain, France and Germany all have strong squads, whilst Argentina can never be ruled out. Nothing groundbreaking here really, just a chance to reel off a bunch of other teams that might do well. Marks to all four for mentioning France as a contender, but oh dear – Germany mentioned by all four too. Yikes. Do you have a dark horse? Matt: Are Portugal classed as dark horses at 25/1? They have a great team ethic and will definitely make the quarter-finals. Samuel: The quality of Croatia’s midfield makes me think they can do well. I also think Egypt will get out of their group if Mohamed Salah is fit and influential. James: Denmark might do OK…and I’d not say it’s impossible for Tunisia getting out of our group. I’ve read some journalists claiming they are the best African team in the tournament! Oli: I look at Croatia’s squad and think that it’s about time they had a decent run, but in terms of a shock, I have a funny feeling Colombia will get to at least the quarter-finals. Hats off to Sam and Oli here – they have absolutely nailed the Croatia shout. Portugal was actually a solid pick by Briggsy, and Denmark wasn’t too bad a selection from James either given they lost on penalties to the eventual finalists. An all-round pat on the back. Which team will suffer the biggest disappointment / fail to impress? Samuel: Switzerland. They’ll be hoping to reach the knockout stages but I think Serbia will pip them to second behind Brazil. James: Russia for me! I can’t believe they’re as short as 14/1. Honestly, they’re absolutely crap! Oli: Argentina. They have the individual talent, but for some reason I fancy them to be disappointed. Matt: Russia look to have it all on to qualify from the group. 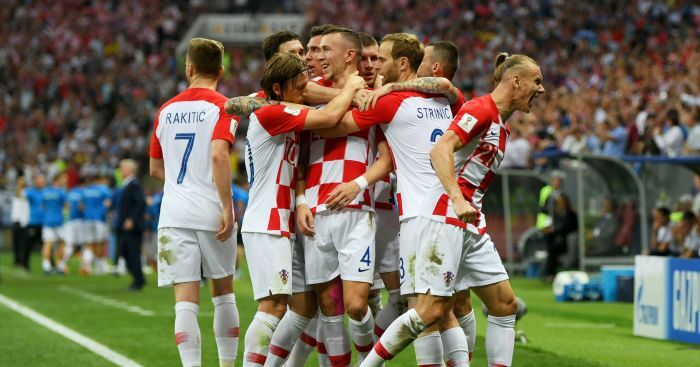 Croatia may well struggle too. Fishers on fire, the bookies are terrified. 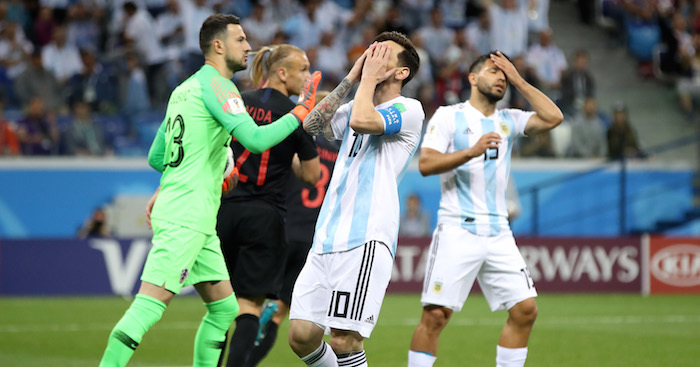 Great selection with Argentina – especially when considering the fact they scraped qualification in the last game. Russia had a superb tournament which means James and Matt are out of luck, while Sam was unfortunately left disappointed by the Swiss. And who are you backing to win the Golden Boot? Oli: Ra ra Rasputin, England’s got a goal machine. It’s Harry Kane and he’s gonna score (more than anyone else). Seriously though, Timo Werner at 14s is a decent shout. Matt: I think Panama could be the tournament whipping boys and Belgium’s Eden Hazard may well fill his boots in the group game against them. So at 40/1 he looks a contender for a team expected to go deep into the tournament. Samuel: Romelu Lukaku is in with a shout, depending on how Belgium do. Neymar will be another strong contender if he plays at his peak. 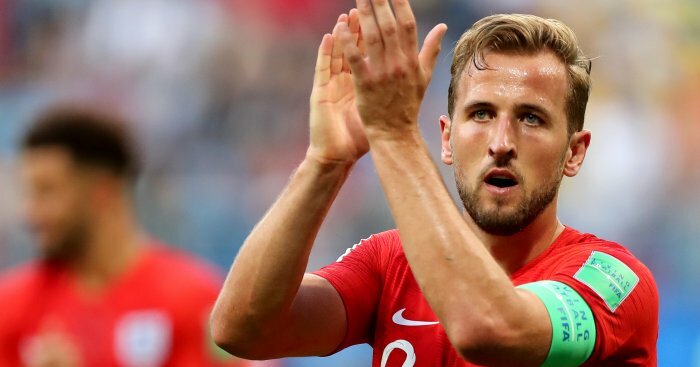 The points here have to go to Oli again for the patriotic backing of our golden boy Harry Kane (lets ignore the Werner shout). Neymar managed just two goals, while Hazard and Lukaku fared slightly better with three and four respectively. Not bad. How far will England get? Oli: I want to say all the way, but I can honestly see Colombia doing a job on us in the last 16. Matt: The last eight will probably be the end for the Three Lions. Samuel: No further than the quarter finals, where it looks like they’d face Germany. Getting past the Round of 16 might even be a struggle, as potential opponents Poland and Colombia have some big players who could do damage. James: Quarter-finals for me. Lack of quality in midfield will ultimately see us fall short, but no reason we can’t get out the group! Wow. Very little faith in Gareth Southgate (AKA The One) here. Oli and Sam did essentially correctly pick a Last 16 tie against Colombia, but everyone thought we would fall short when in fact we made the final four and football pretty much came home. Who will win the award for player of the tournament? Matt: Neymar and Lionel Messi are sure to be named on the shortlist. Neymar will get the vote though with Brazil likely to go further in the tournament. Samuel: It could be a surprise name, but I’d back Neymar and Antoine Griezmann to be electrifying. James: Neymar. Predictable I know! He’s fresh after his lay-off. The Neymar picks don’t look great, with Sam salvaging some pride thanks to name-checking Antoine Griezmann, but dear oh dear what was Oli thinking. 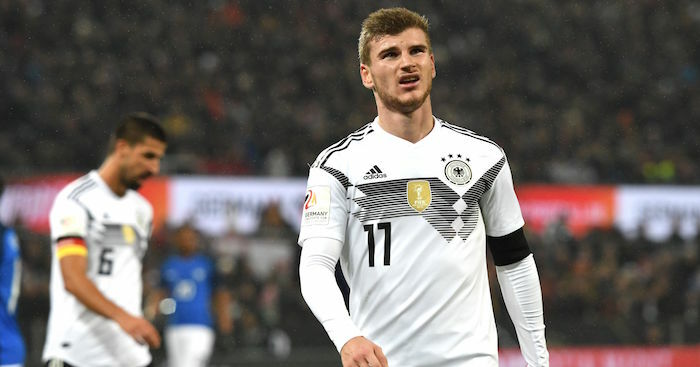 To be fair, leading the line for Germany should be a certainty of goals, but Werner was certainly no Klose in Russia. Any thoughts on who will come back from Russia as a major star? Samuel: Already a well-known name, but I think this is a big stage for Spain’s Saul Niguez to seriously impress, at his first senior international tournament. James: Much is being made of Aleksandr Golovin. It’s hard as there’s not really such a thing as uncut diamonds these days, such is football’s coverage. Matt: Argentina’s Cristian Pavon is an exciting talent and the forward may well surprise a few from the bench. James gets the points here. Golovin had a very good tournament for the hosts and may have earned himself a move as a result. As for the others, none of them really did enough. 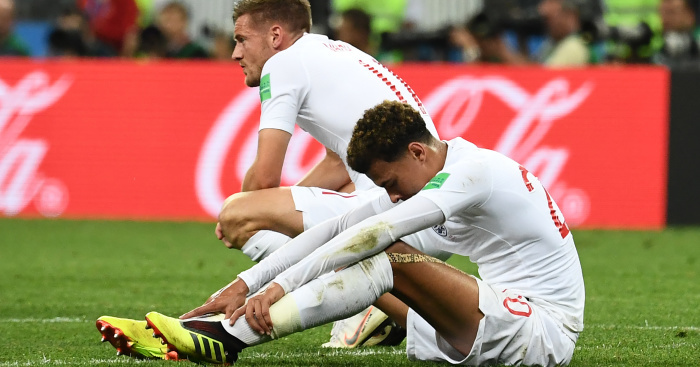 Oli: Quite a bit of the attention has been deflected away from Dele Alli so he could do well, but I will say Harry Kane based on him being a flat-track bully in the groups. Matt: I think Raheem Sterling may well propel himself into world-class status. Samuel: It’s hard to see past Harry Kane in terms of quality, but one of the ‘squad’ players could have an impact from the bench. I can see Jamie Vardy coming on to score an important goal or two. 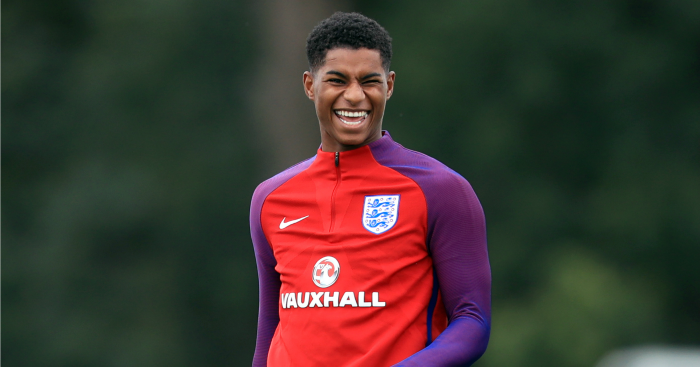 Well Marcus Rashford only played 211 minutes over six appearances for England, and Raheem Sterling hardly proved his doubters wrong despite playing an important role, so the points here go to Sam and Oli for the Harry Kane pick.